I thought I'd revive this one from April 2016.
to the Old Government House in Parramatta, NSW. 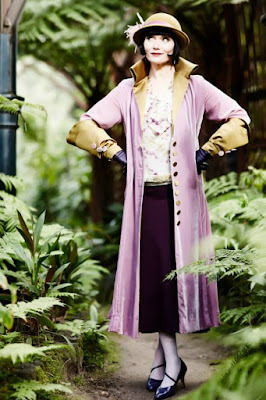 ultra-chic dresses and accessories from the series' season three. dressed like this, usually coming from a cocktail party or a hot date. 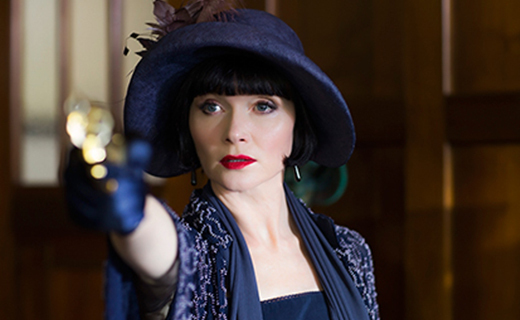 A proper lady detective should always wear a hat and gloves to a shooting. This brand new exhibition features fabulous series three costumes designed by 2015 AACTA Award winner Marion Boyce. 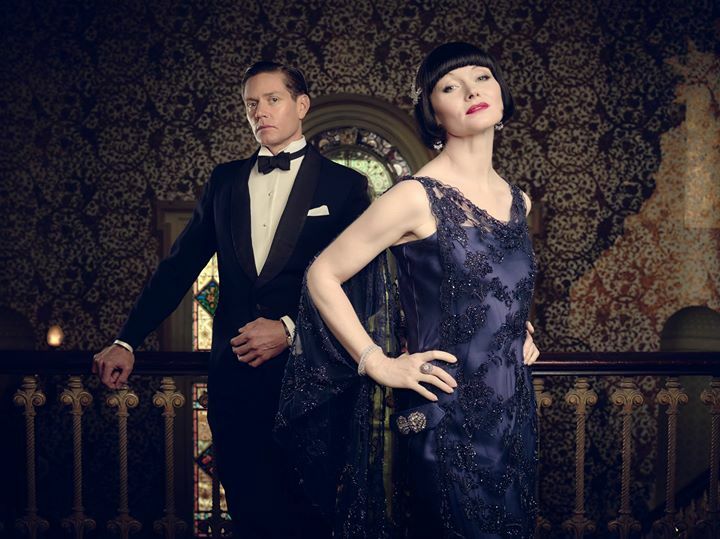 It includes outfits worn by Phryne Fisher (Essie Davis), Detective Inspector Jack Robinson (Nathan Page) and Aunt Prudence (Miriam Margolyes). 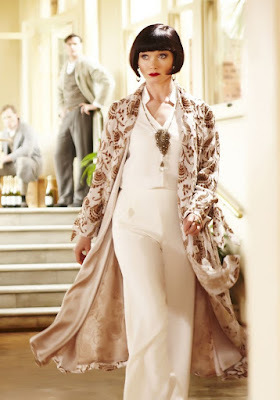 The costumes are shown in evocative 1920s-style rooms; visitors are encouraged to "touch and feel the sumptuous fabrics as they step deeper into Phryne's world." Several special events will be held in conjunction with the exhibition. 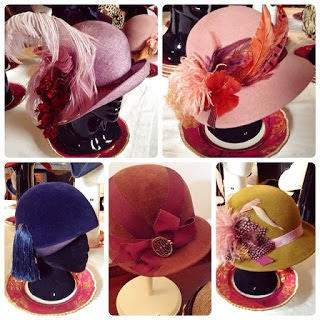 These include two "Behind the Seams" tours led by historic clothing and textiles specialist Eleanor Keene, (May 16 and June 5; 1 - 3PM) and a "Last Tango in Parramatta Roaring 20s Dance Party"on April 23 at the city's Old Garden House. "Be wined, dined and tango the night away during this very special evening of 1920’s music and entertainment. 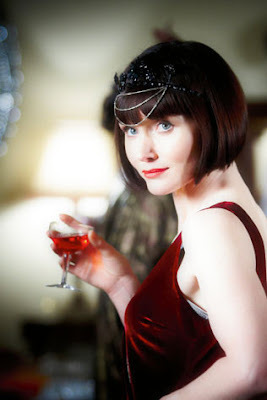 Phryne wouldn’t miss it!" "She’s brave and reckless – she’s kind of like a superhero,” Davis laughs. 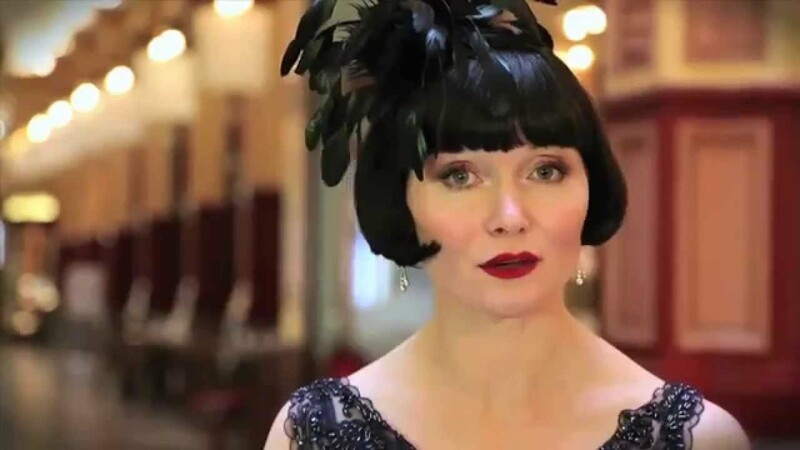 Link here for a lively interview with actress Essie Davis.